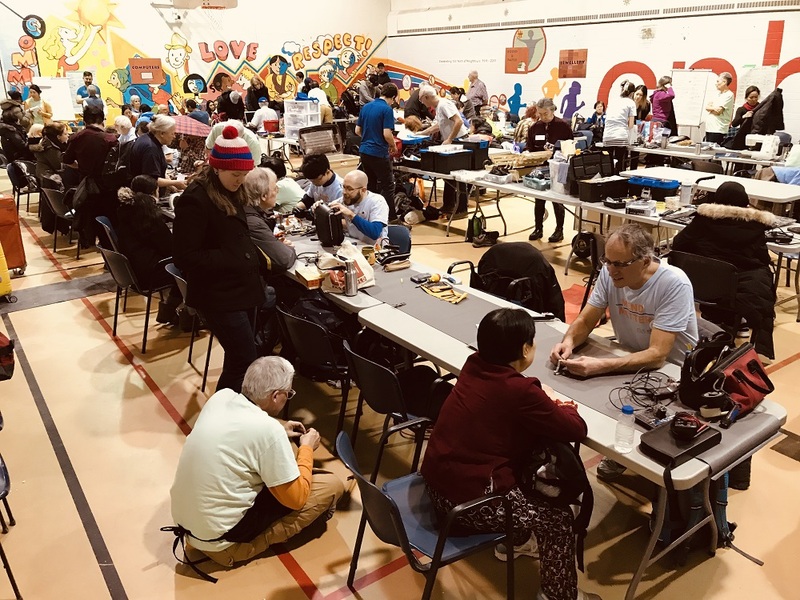 On February 23, Repair Café returned to one of our favourite community locations at Central Neighbourhood House (CNH) on Ontario Street in the east side of Toronto. 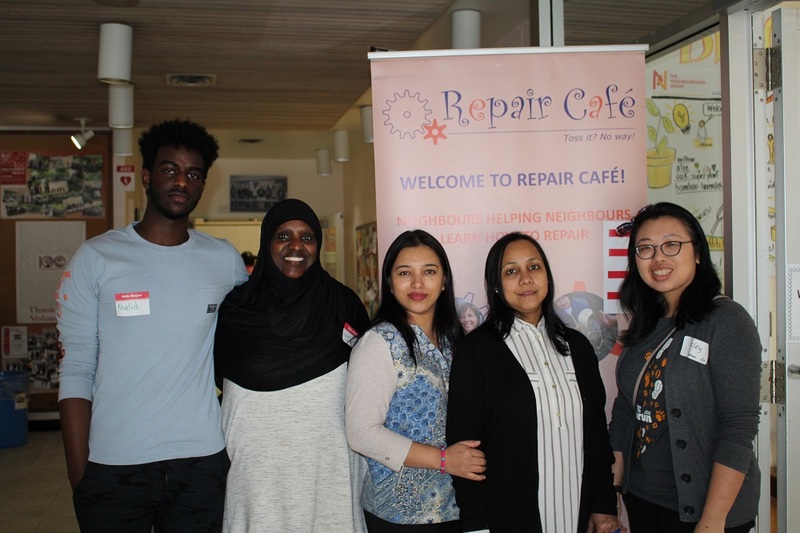 The photo above was taken with the CNH Community Development Coordinator, Touhida Choudhury (second from right), and her volunteers and students (from left to right are Khalid and his mother, Nasri, with Urmila, Nasri, Touhida, and Lesley). It has been wonderful collaborating with CNH. 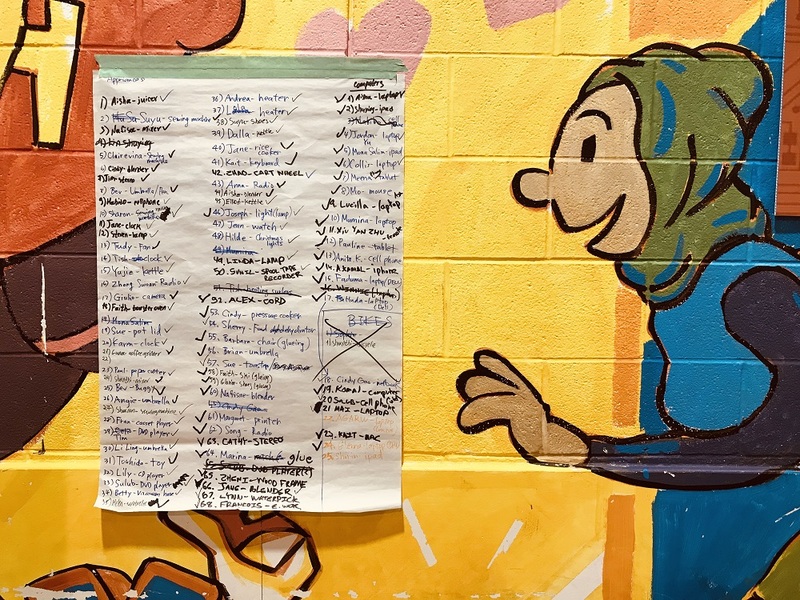 They share the commitment to community building and support our waste reduction goals. 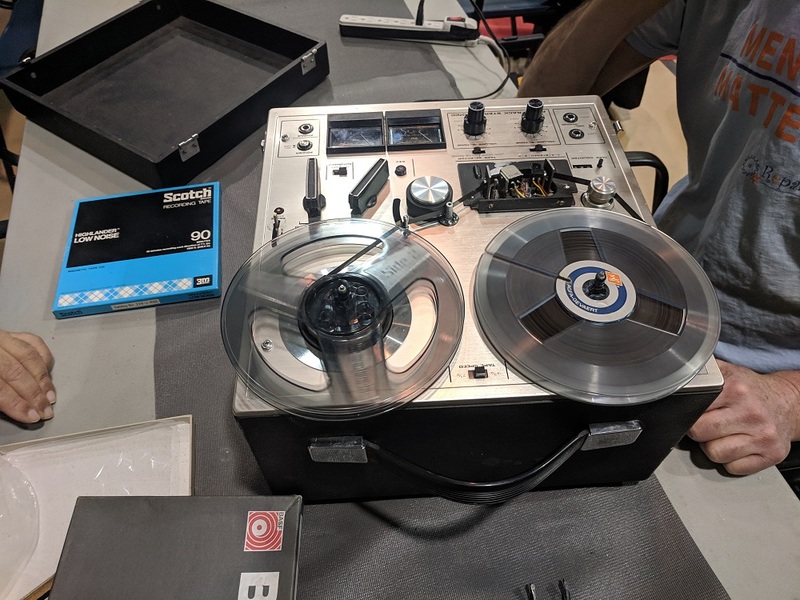 “Repair cafe is not only an event to repair broken items, but it is also a unique way to connect community members, help them to learn the skills of reducing and reusing that eventually makes our earth more livable with less trash, ” said Touhida. Thanks to the terrific support of their facilities staff, the gym was quickly set up with work stations. 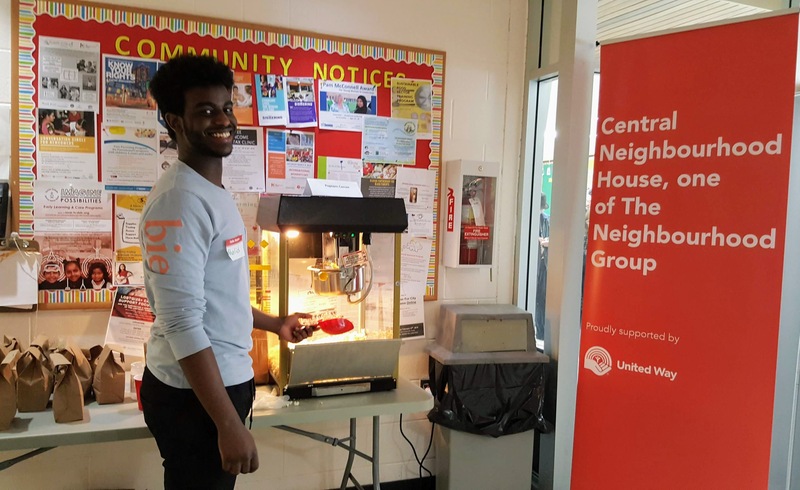 The bright program room was turned into the sign-in area with a refreshment table set up adjacent to the kitchen and a bike repair station at the back. 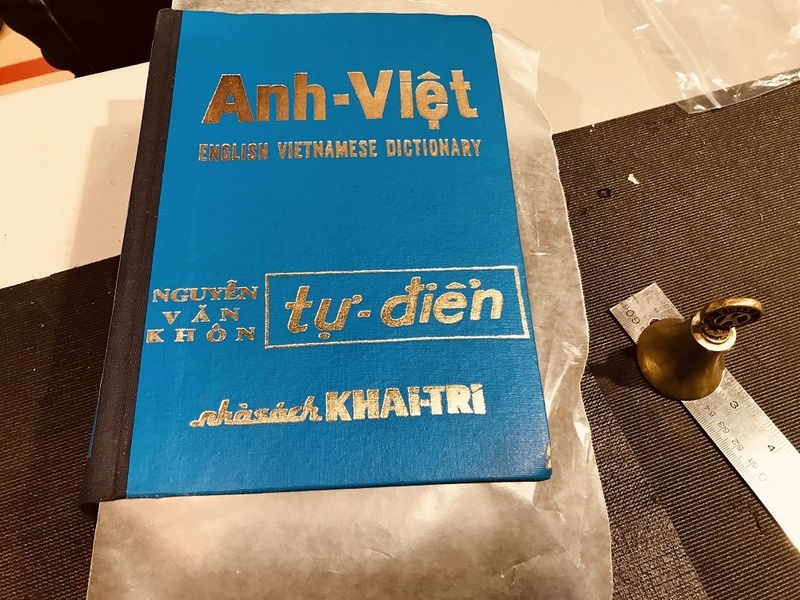 As visitors entered the building, they instantly smelled Khalid’s popcorn, and Lesley, Urmila, and Nasri lent their hands as greeters and translators for those visitors who did not speak English. Below are some of the interactions between our volunteers and visitors as well as the various interesting items we tackled. The day turned out to be another successful event full of energy. Throughout the four-hour café, we fixed many items and a lot of visitors left with satisfaction. Building on the positive feedback we received from this event, we are planning to return to CNH on September 21! Our next café will be held at Richview Public Library on March 23. For details, please click here. To learn about other upcoming events, please visit the Upcoming Events page. 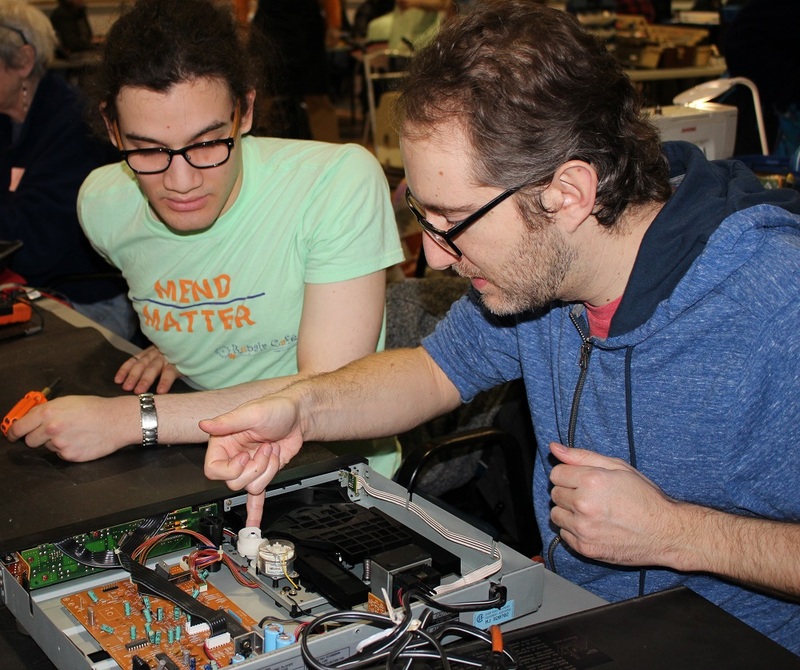 Hope to see you at the Repair Café! 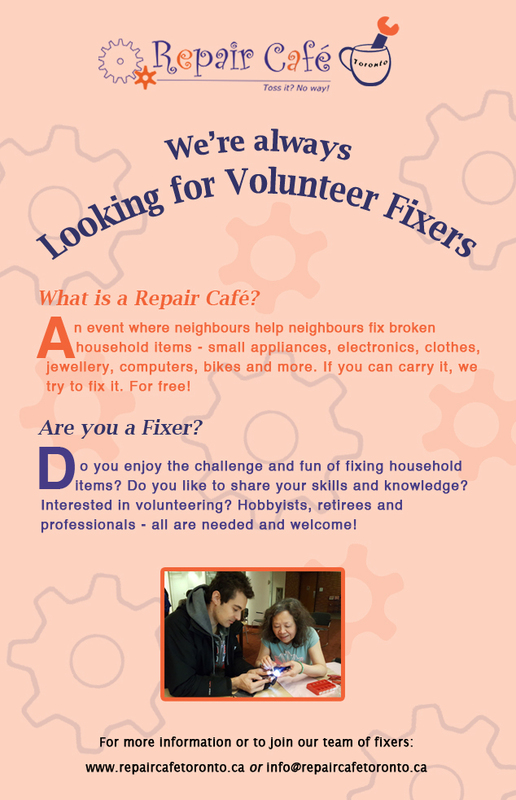 Gladstone Community Clothing Swap + Mini Repair Cafe! Fixing clothing and jewellery only. Visitor registration ends at 2:30 p.m. 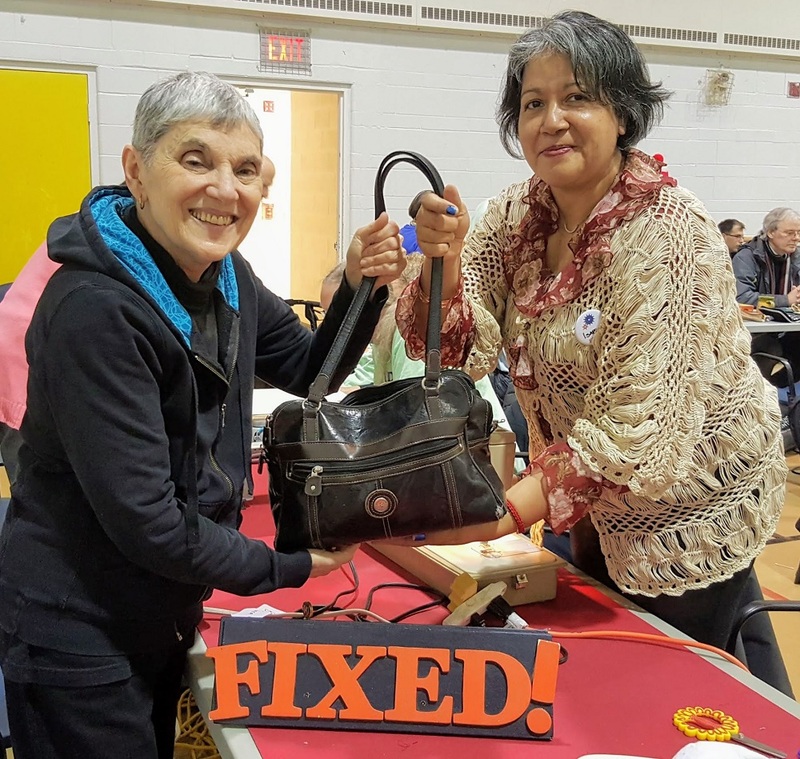 This repair event is part of the Gladstone Grow Op clothing swap. Admission is free for those who contribute items to the swap before 11 a.m. The $5 entry fee goes to Sistering. Fixing clothing and jewellery only. Visitor registration ends at 12:00 p.m. This repair event is part of the Henkaa Women’s Wellness Event with Women’s Healthy Environments Network (WHEN). The $20 entry ticket/donation will go towards WHEN, a non-profit charity, and includes speakers and food.